With a structure made ​​of tubular steel finished in oven at 180°C. Parts list: N°1 ladder made ​​of tubular steel semi-oval section. 60x30 mm round tube handrail and steel Ø 30 mm, the steps covered with PVC anti-slip footrests profile. 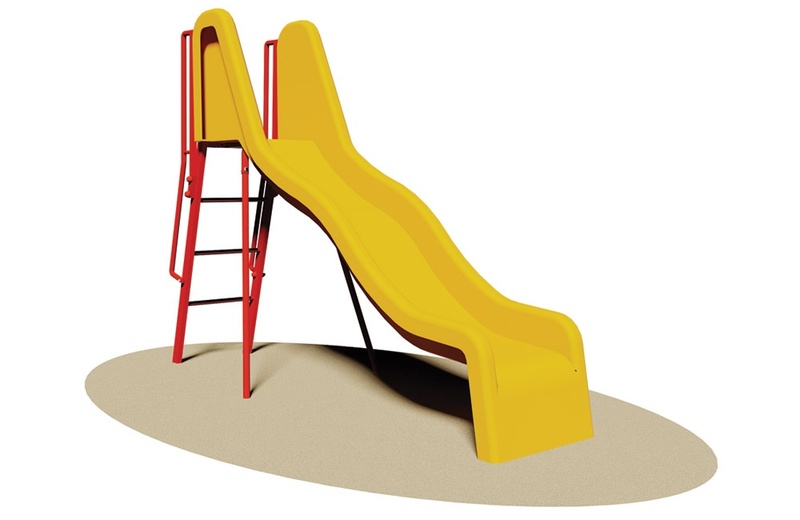 N°1 slide fiberglass corrugated h. 120 cm made ​​with multiple layers of high density resin with a track length of 300 cm complete with two slashes made ​​of tubular steel to ensure stability of the tool. Assembled by 8.8 galvanized steel bolts and nuts. Elements covernut under colored nylon.